In 1990, two significant things happened: I had a dinosaur-themed birthday party, and McDonald’s changed their french fry recipe. One might argue that someone who was four in 1990 couldn’t possibly remember the iconic flavour of the original McDonald’s fry, but I remember my dinosaur-themed birthday party in extreme detail, so checkmate, Aristotle. When it comes to chips, fast food establishments do it best. It’s not that they use the freshest potatoes (they don’t), or that they have some secret seasoning (it’s salt), or even the fact that they deep fry (it’s a good tactic, but not necessary). The secret, my friends, is that they’re double cooked. The company’s switch from beef tallow to vegetable oil upset many people, including Malcom Gladwell and my father, and their anger was not without merit. Cooking oil isn’t just a conduit for heat; it flavours the chip, and the beefy flavour and super-crunchy exterior that tallow imparted was deeply missed by french-fried-potato enthusiasts. If duck fat can make your fries taste like they came from a pretentious bistro, beef tallow is the key to capturing that retro fast food magic. But the fat is not enough. Seasoning is also key to the 1980s fry experience. 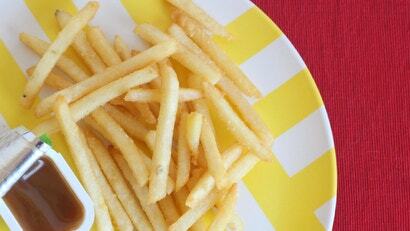 Like popcorn, fries are best when they are dusted in super-fine, nearly pulverized salt. 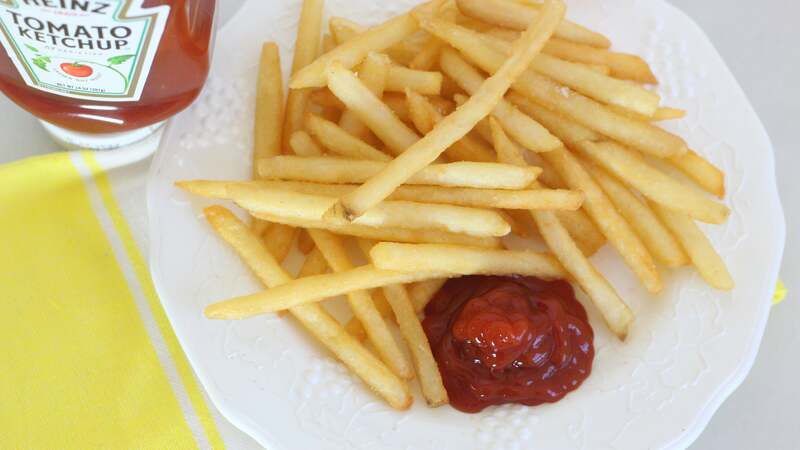 Also worth noting: while today’s McDonald’s fries do not contain MSG, they do contain hydrolyzed vegetable protein, which is widely used in the food industry for its glutamate content. If you wish to go full fast food, you can get the HVP effect by pulverizing MSG right along with your salt. Let the fries sizzle and cook, gently swirling and flipping them with a spatula or tongs in the hot tallow until they are a pale golden brown and crispy—this should take 6-8 minutes. Remove them from the beef fat with tongs or a slotted spatula, place them on paper towels to drain.